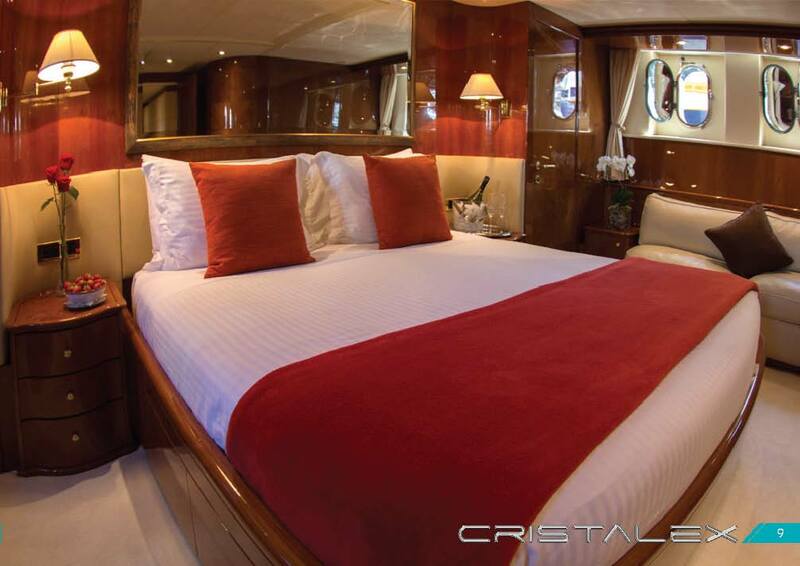 Full-Beam, Master King below + Full-Beam VIP Queen + 2 Identical Twin Cabins, each with private bathroom, & each with Sky Satellite TV in English. 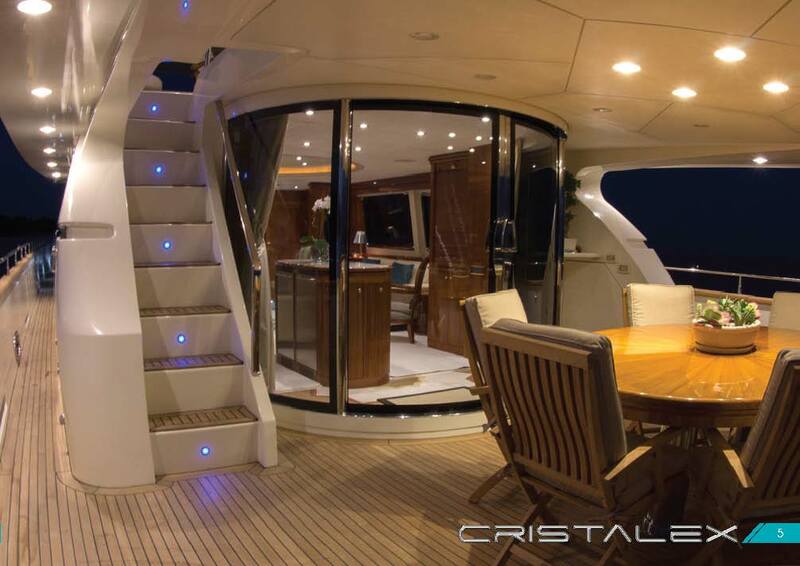 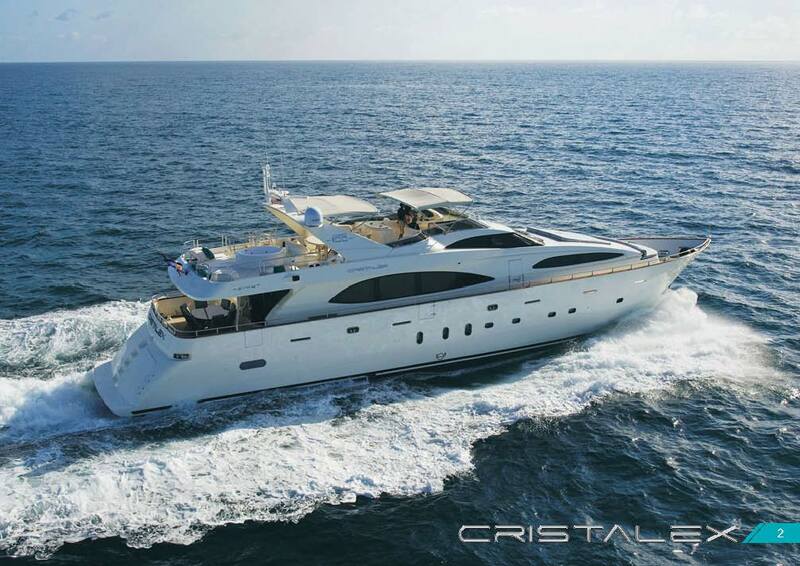 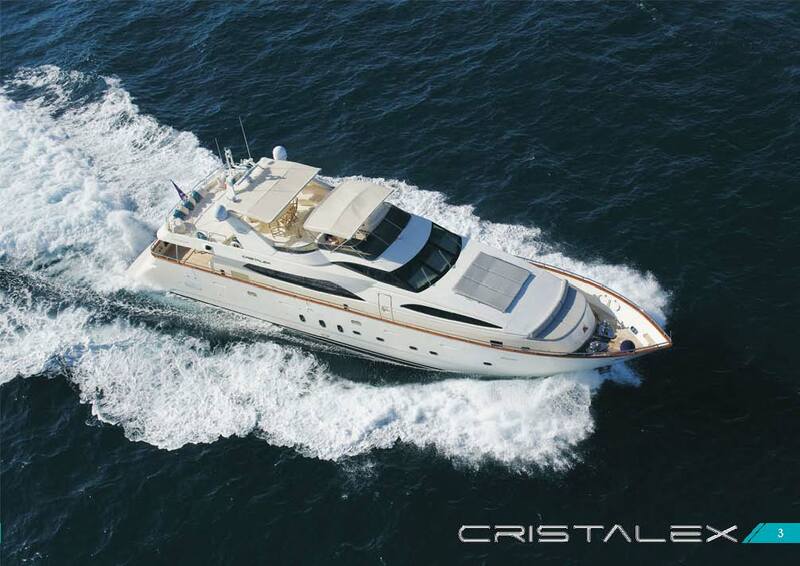 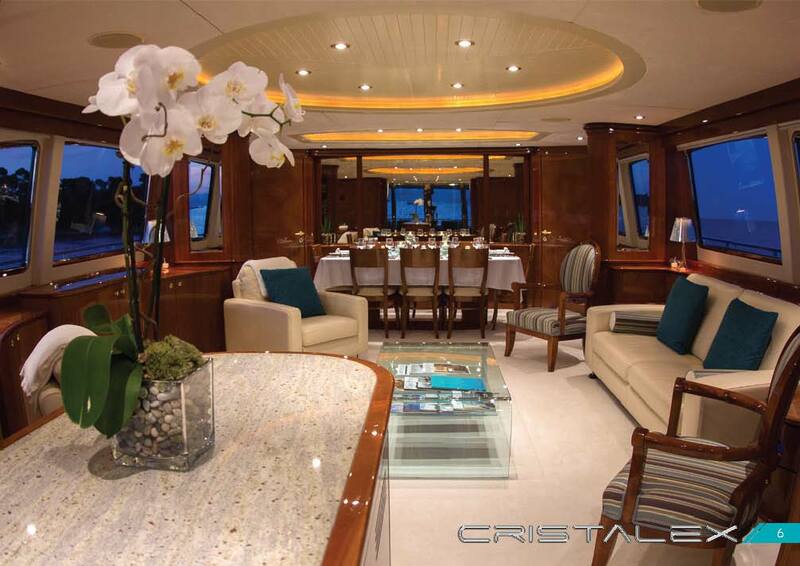 Available along the French and Italian Rivieras this summer, as well as Corsica and Sardinia, the 108′ Azimut motor yacht, CRISTALES, is one of the prettiest charter yachts in the Mediterranean. 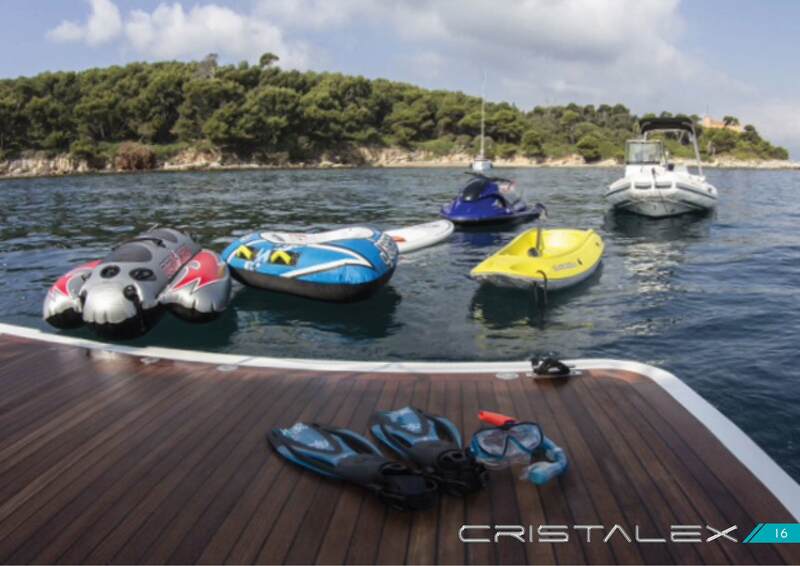 Stabilisers at anchor for comfort. 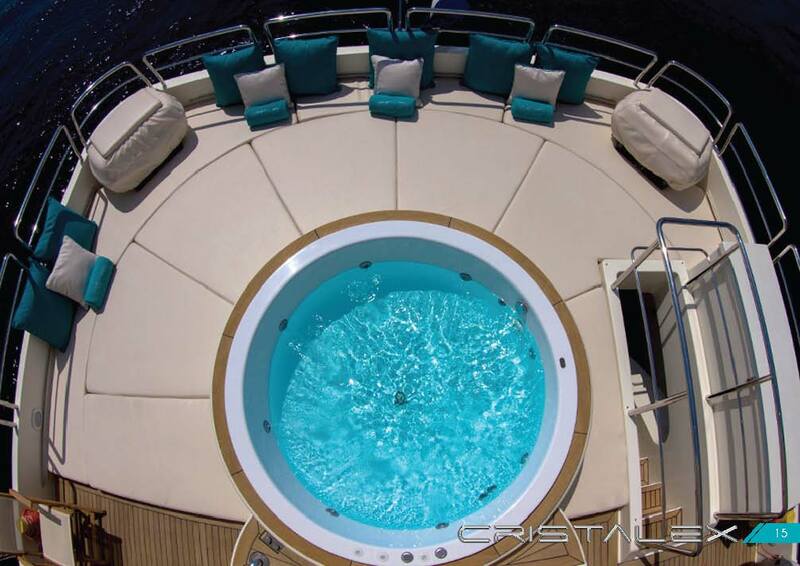 Jacuzzi on the top deck for extra luxury. 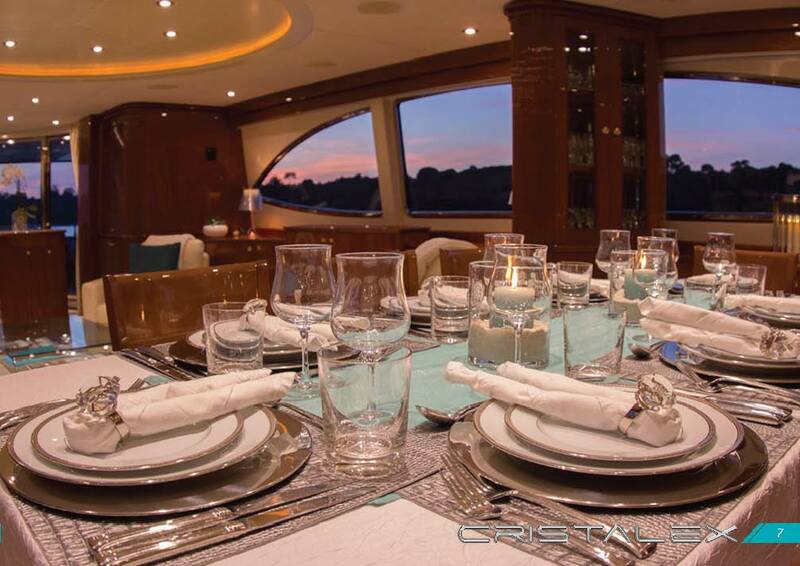 World-class chef for a true gourmet experience. 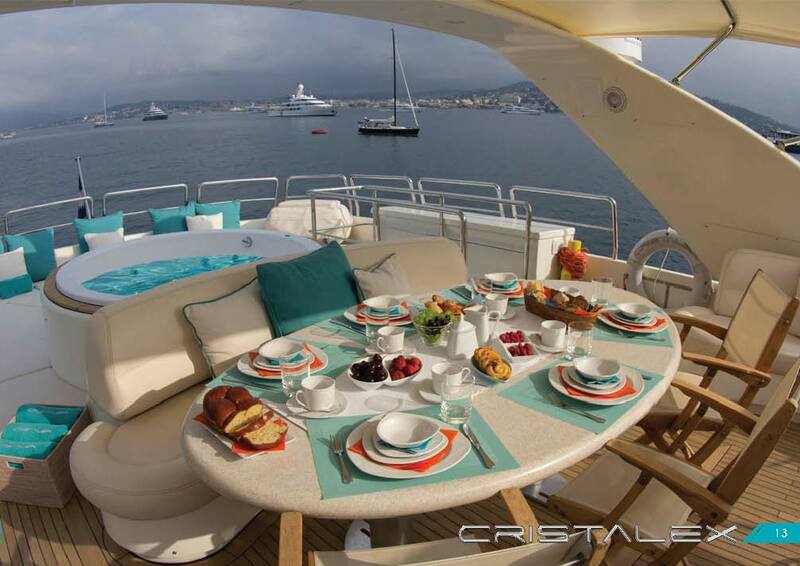 The French crew of three are top notch and fluent in English. 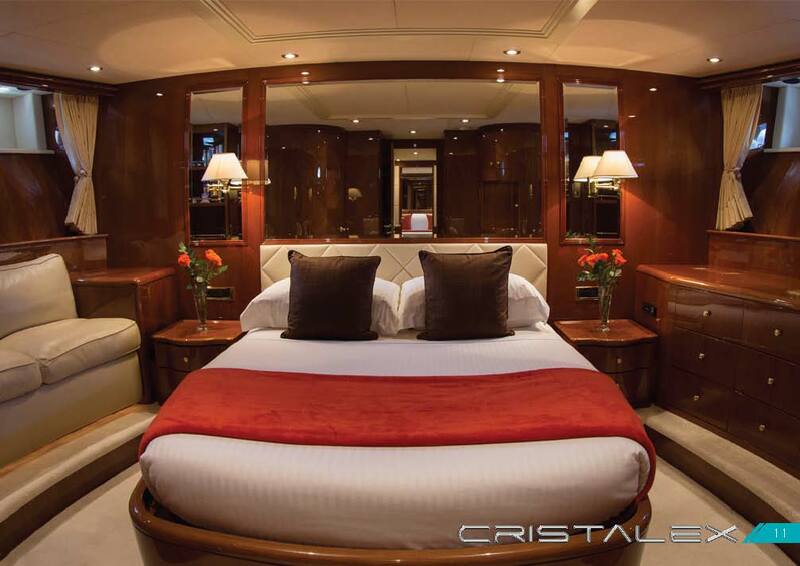 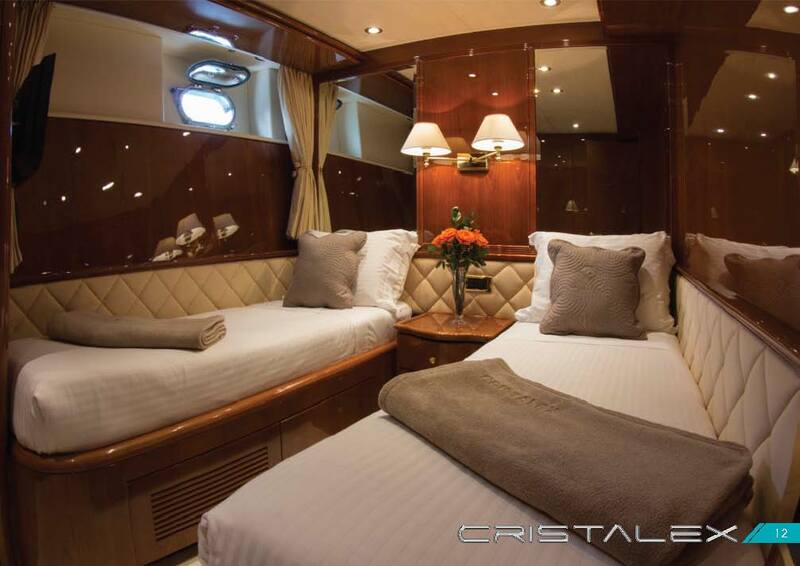 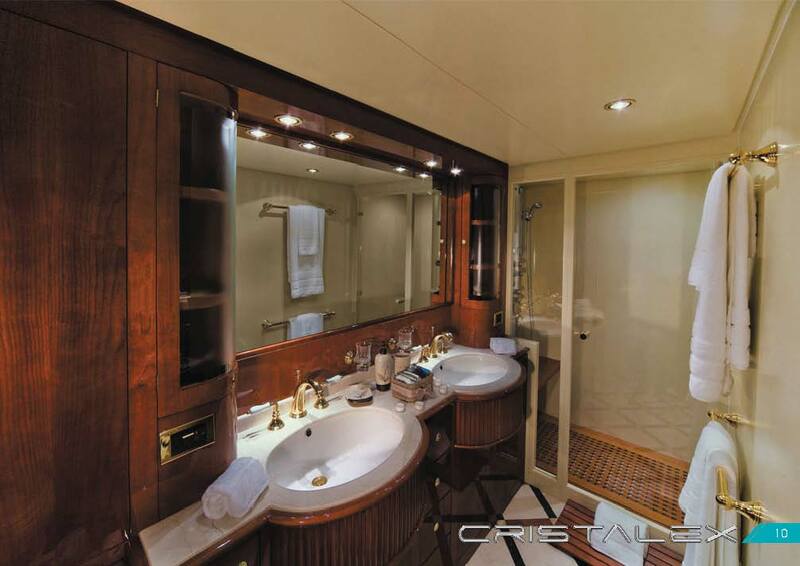 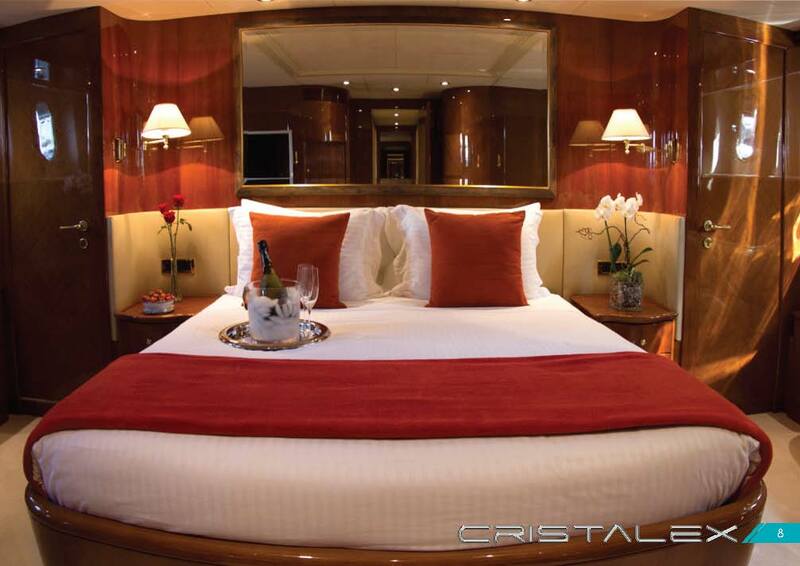 Two Full Beam Cabins, one with King, the other with Queen, the yacht is ideal for families of eight as the other two cabins are Twin cabins with lower single bunks on opposite sides of the cabin. 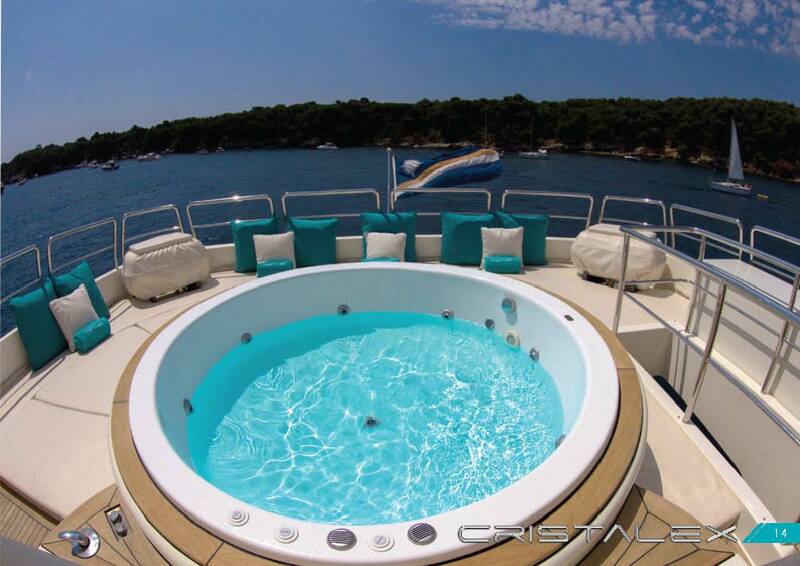 While the saloon is gracious and comfortable, the Sun Deck is especially lovely with its turquoise and white colors and Jacuzzi. 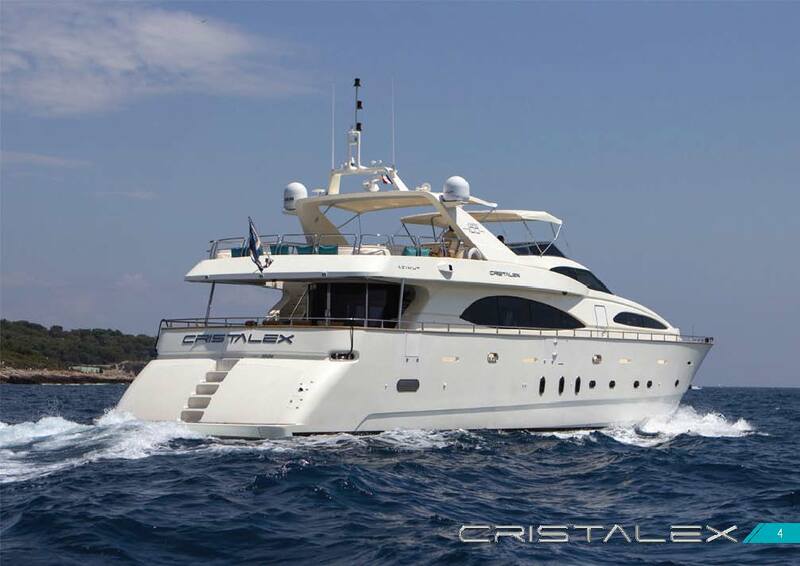 “Garage,” Jet skiing, Satellite Television in English, large boarding platform off the stern, lots of toys, sailing biminis, elegant dining room as well as alfresco dining, this yacht offers comfort, elegance, and sports equipment for cruises from Antibes.